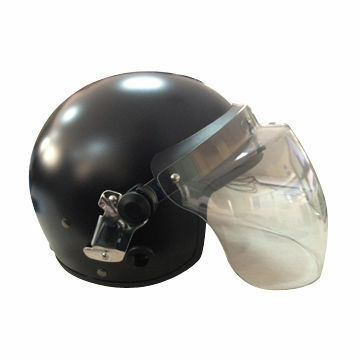 We are counted amongst the recognized organization offering of premium quality Anti Riot Helmets. The offered helmets is developed using quality material and by applying latest technology at our vendor’s end. At our vendor’s production unit, the professionals adhere to international industry standards along with keeping a strict check on the quality production. Furthermore, quality controllers from our team opt for strict quality inspection made on the helmets to ensure flawless performance.